Our range of products include label and carton batch coding machine, mini batch coding machine, batch coder machine and batch printing machines/ mrp printing machine. 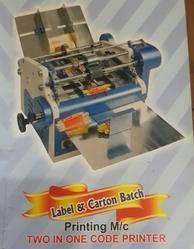 We are dependable manufactures & suppliers of the finest quality Label And Carton Batch Coding Machine. The offered packaging machine is designed by using quality approved materials with the help of professionals at our end. This packaging machine is stringently examined on various quality parameters for assuring flawless range. We offer this packaging machine in numerous stipulations as per the needs of customers. We are the leading name in the market engaged in offering a wide assortment of MiniBatch Coding Machine, which is designed for high-speed applications and around-the-clock operation. It is the standard for coding applications in production environments. With a core life of up to 12,000 hours line and speed up to 960 ft/min, this machine is one of the leading batch coding machines available today. 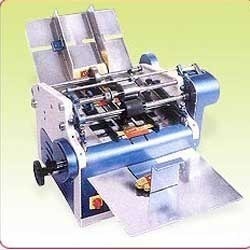 To meet the requirements of the clients, we are offering Batch Coder Machine. Our mini printer is applauded for its printing quality in the market. Along with that, this mini printer Print on any material like plastics, metals. Customers can avail this mini printer from us at nominal rates. 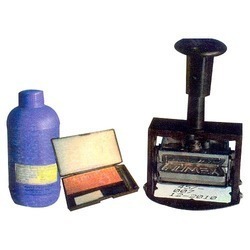 Keeping pace with the variegated requirements of customers, we are involved in manufacturing and supplying finest quality Label Batch Printing Machines/ MRP Printing Machine. The spare parts and components used in the manufacturing process are sourced from trusted and reliable vendors of the market. Clients can avail our range in various specifications at nominal prices.These are widely demanded by several industries like food, pharmaceutical and chemical. In addition to this, we have a team of expert quality controllers, which checks all the products on various parameters to ensure zero defect. We also provide tailor-made solution for all the products as per the specifications laid down by the customers. Ideal for printing statutory markings/ coding on plastic / paper pouches, duplex boards / duplex cartons, labels etc. Looking for Batch Coder Machine ?